The Tokyo Organising Committee of the Olympic and Paralympic Games today unveiled the competition schedule for the Tokyo 2020 Paralympic Games following its approval by the International Paralympic Committee (IPC). On the morning of 29-30 August 2020, the International Triathlon Union (ITU) notes that triathlon will be held over its most urban course in the history of the Paralympic Games yet, with eight medals to be contested. The Paralympic Games in Tokyo will be held over 12 days. From the following day of the Opening Ceremony on 25 August until 6 September, 22 sports and 540 events will be contested featuring a record number of athletes. The most popular sports are spread throughout the Games so spectators can enjoy the highs and lows from the beginning to end. Overall, events are scheduled so they are more accessible to families and a wide range of other people. In addition, in order to prioritise athlete conditioning at the Games, the marathon and triathlon races will be held early in the morning. Tokyo 2020 took a holistic approach when compiling the schedule, taking into account the athletes’ experience and well-being, technical rules and regulations of the various international federations, gender balance, the popularity of individual sports in Japan, operational considerations, and the global TV audience. Tokyo 2020 Paralympic Games ticket sales for residents of Japan are set to start in the summer of 2019 and there are plans for the updated schedule for all 540 medal events to be published by then. The competition schedule by session approved today is subject to change after further adjustments. On 26 August, a day after the Opening Ceremony, competition in seven sports will begin: cycling (track), goalball, swimming, table tennis, wheelchair basketball, wheelchair fencing and wheelchair rugby. Athletics (track and field), will enliven the Olympic Stadium each day from 28 August to 5 September. Another popular sport, boccia, will be held from 29 August to 5 September. As part of the IPC’s drive to increase opportunities for athletes with high support needs, the cap for the number of athletes in the sport has been increased by eight since the Rio 2016 Paralympic Games taking it to a total of 116. On the morning of 29 and 30 August, triathlon will be held over its most urban course in the history of the Paralympic Games yet. 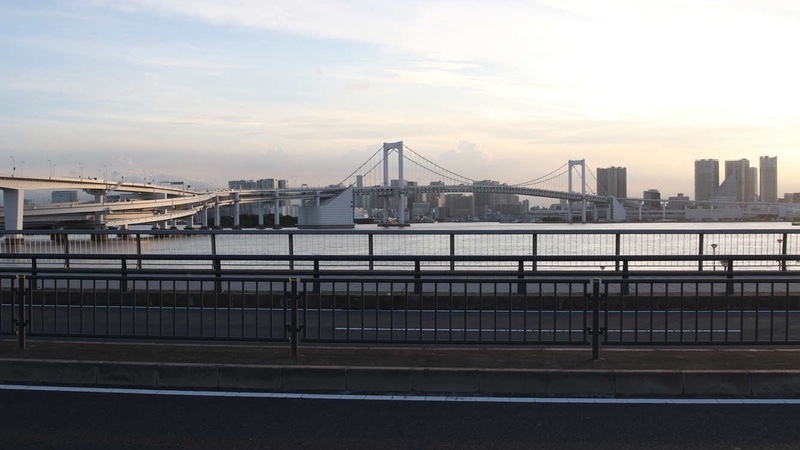 The race will be run around the Odaiba district next to Tokyo Bay, allowing the athletes to compete in front of a backdrop of Tokyo’s skyscrapers. During the middle phase of the Games, the highlight will be the wheelchair rugby final which will be held from 18:00 JST on the first Sunday after the Opening Ceremony. There are increasing expectations for the Japan team which defeated the Rio 2016 gold medallist Australia team and became world champion this year. The wheelchair rugby final, as well as other team sport finals, have traditionally been played at the end of the Games, but at Tokyo 2020 some are scheduled in the middle to build excitement for the events to come. Cycling road racing will commence on 1 September. The courses will vary slightly from class to class, but they will all start and end at the Fuji International Speedway that sits near the foot of the iconic Mount Fuji. All courses feature a number of gradients and downhill sections and are likely to provide some enticing competition. Badminton and taekwondo, which have been added to the Paralympic sport programme for the first time, will be held in the second half of the Games. Badminton will be played from 2-6 September at the Yoyogi National Stadium, a legacy venue from the Tokyo 1964 Games, and taekwondo from 3 to 5 September at the Makuhari Messe in Chiba. Many semi-finals and finals for various sports will take place in the latter half of the Games and will ensure there is plenty of action all the way to the end of the Games. The finals of wheelchair tennis will be on 4-5 September. Wheelchair basketball will be one of the final high points of the Games. Its women’s and men’s finals will be played on 5 September and 6 September, respectively. The men’s and women’s marathon will be held on the morning of the Games’ final day. The event features the powerfully built wheelchair racers who can push their chairs to speeds of 40km per hour, as well as the teamwork on display between the visually impaired runners and their guides. Runners will pass through the heart of Tokyo – the world’s largest metropolitan area with a population of nearly 35 million – competing among some of the capital’s most iconic landmarks, providing an experience for the athletes, as well as for spectators along the route and those watching on their screens around the world.